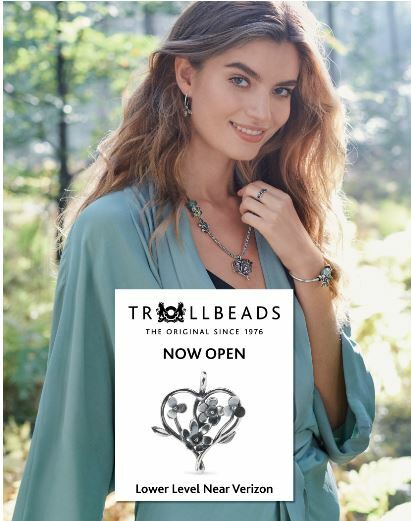 Crossgates is excited to announce the opening of the newest retail location of Trollbeads. The hand-crafted jewelry store is located on the lower level near Verizon. Trollbeads is the first bead on bracelet brand known for using the highest quality materials and craftsmanship. Every Trollbeads piece is hand-crafted by designers around the world and made of the finest materials. The store features over 600 beads- each with their own unique design and story. Every Trollbeads bead symbolizes something authentically Danish – magic, creativity, mythology, the wonders of nature, modern styling and architecture.